Part of the appeal of working with variegated or space dyed yarn is watching the colors change and looking forward to seeing what sets up next. That's fun! What isn't as much fun is watching those color changes pool unattractively or get lost in a complicated design. 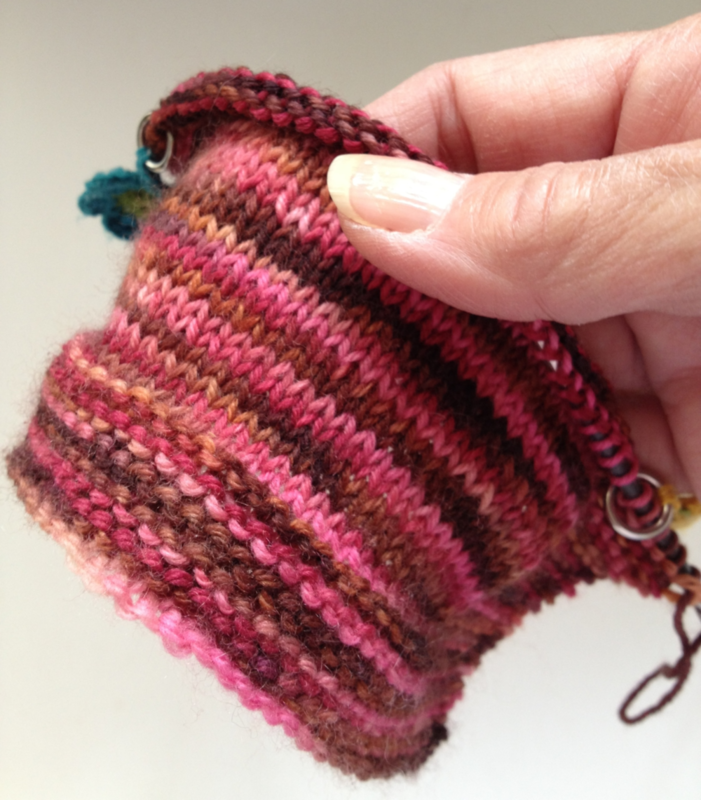 Today, we'll show you how to pop your knitting project when working with variegated yarns. Take a look at the images below of a hank ready to be worked and a swatch in progress. 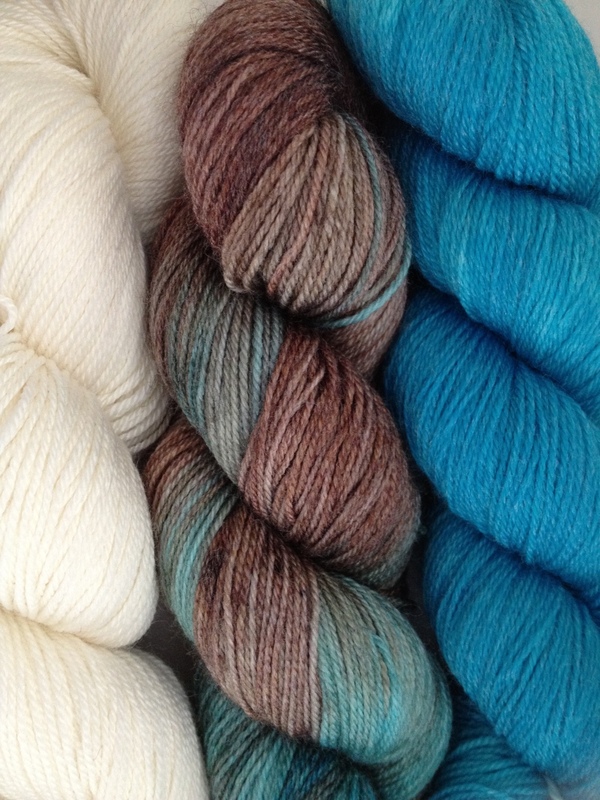 See how differently the colors set up when knitted than they originally appeared in the hank. So, are there tips to getting the most out of the multi-colors? For sure! We're about to find out how to make those color transitions work in our favor. Amanda Byrd of Crabapple Yarns is the creator of the variegated beauties shown in this post so who better to share what patterns and stitches make her variegateds shine. Keep it simple. If the pattern is complex with lots of texture changes, lace, cable etc., you are going to lose those effects in the changes of color. I recommend choosing a pattern that is classic. A simple lace such as feather and fan, garter stitch, seed stitch, stockinette really show off variegated yarns well. Adding it in as an accent to a sweater such as a stripe is a great way to change up a monotoned garment. Slip stitch. The slip stitch is perfect for dramatic yarn. It breaks up any pooling that might happen as well as creates an effect that looks difficult but in reality is very simple. Colorwork. Try a color work pattern or stripping it with a complimentary semi solid color. The results will be beautiful. Good practical advice, so let's see some examples! 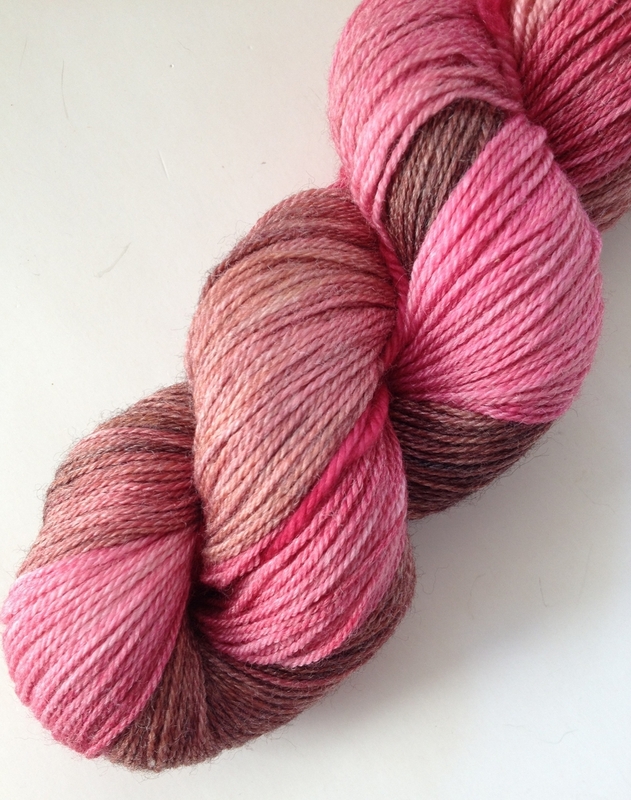 Do you have a knitting question? Ask Me!